Temperatures have dropped and Autumn is well and truly here. With the cold weather comes a tendency for us to all retreat indoors, with the sofa or bed becoming a safe-place to cosy up and stay warm! Few things are more inviting than a sofa or bed layered with textured accents, and if our Instagram feed is anything to go by, 2017 is the year of the oversize knit. C hunky woven blankets have surged in popularity on the Gram, and according to Elle Decor, you don’t have to spend big to try the season’s cosiest trend. 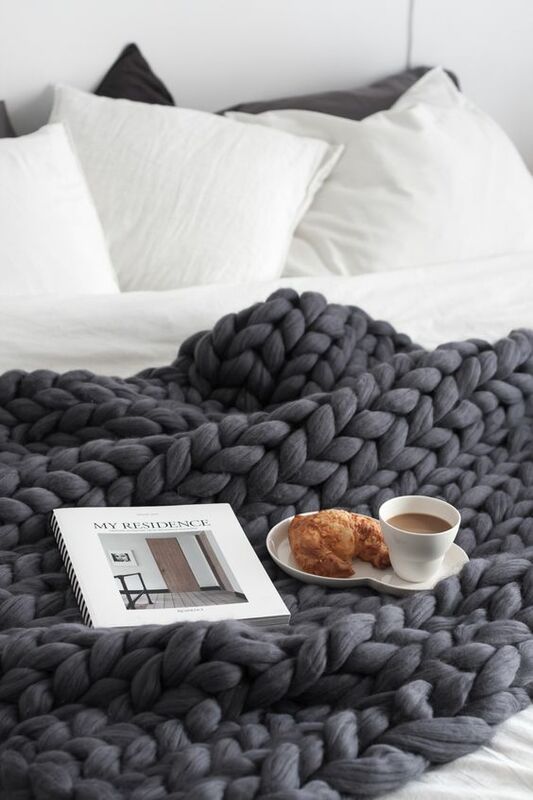 If you click through to Elle Decor you can find a step-by-step guide to knitting your own oversize throw. The project uses PVC tubes as giant knitting needles to weave the massive homewear accessory! Alternatively, if you want to buy a New Zealand made giant knit through then watch the team from Plump & Co create this chunky woven blanket below! Share with us your favourite accessories for the home this Autumn to decrease the chill factor.